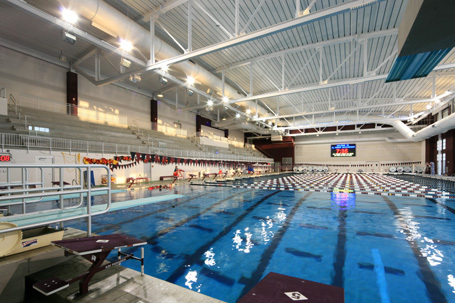 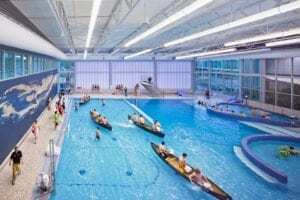 The El Pomar Natatorium, contained within the Maverick Center, and Hamilton Recreation Center, at Colorado Mesa University has undergone a $41 million dollar renovation and expansion, resulting in the most modern and exciting recreation facility in western Colorado. 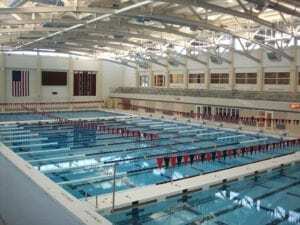 Completed in December 2009, the center now includes a new athletic training treatment area, offices and classrooms to accommodate the expanding campus, and a new climate-controlled natatorium. 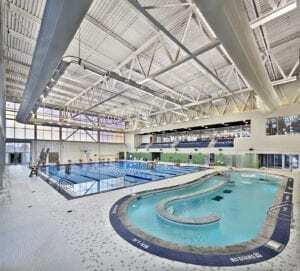 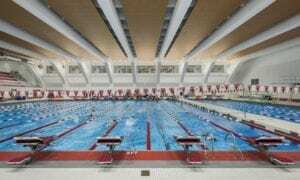 The natatorium features a 50-meter competition swimming pool and diving well with 1-meter and 3-meter springboards. 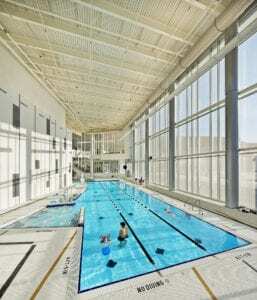 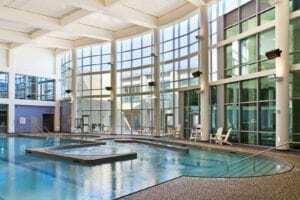 Two bulkheads offer the versatility of accommodating aquatic lessons, fitness, and activities within the pool. 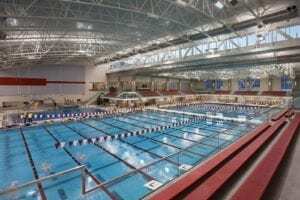 An observation area allows the university to host regular season swim competitions and Division II championships.